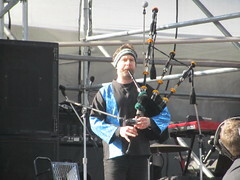 Ken McGoogan is interviewed on CBC Radio's The Next Chapter by Shelagh Rogers. Note that the tartan featured is the Maple Leaf tartan, featuring the yellow, green and red colours of a changing maple leaf. Shelagh: “I want to get back to pluralism because i find this a very interesting impact of the Scots in Canada, the population has never exceeded 16% of the country. What do you think it wa was it about the Scots and what they brought over that created this pluralistic vision. And McGoogan talks about Robert Burns, and his influence in Canada. He calls it “singular and amazing,” who there are Burns statues and influences in Canadian cities from Halifax to Victoria. Shelagh's special unabridged conversation with Ken McGoogan, author of “How the Scots Invented Canada”. Here are some reviews of McGoogan's book and a link to his own web page. 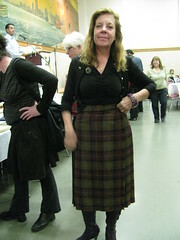 This entry was posted in 2011 Gung Haggis Fat Choy Dinner, Canadian Identity, Canadian Identity & Heritage, Cultural Fusion, Gung Haggis Fat Choy dinner, Kilts - wearing kilts, Main Page, politics and politicians, Robert Burns & Burns poetry on February 2, 2011 by Todd. Vancouver vs San Diego? vs Logan Lake? Vancouverism is an architectural concept for which diversity of use, diversity of space and diversity of people is included. VANCOUVERISM is a wikipedia entry… and a traveling architectural exhibition to Paris and London. And where the heck is Logan Lake? Last weekend in Vernon, when somebody from Logan Lake found out I was from Vancouver, they complained about how “unfriendly” Vancouver was – especially about parking. I had to ask where Logan was located. Answer: between Kamloops, Merritt and Cache Creek. It is tiny with a population of only 2,100 people. 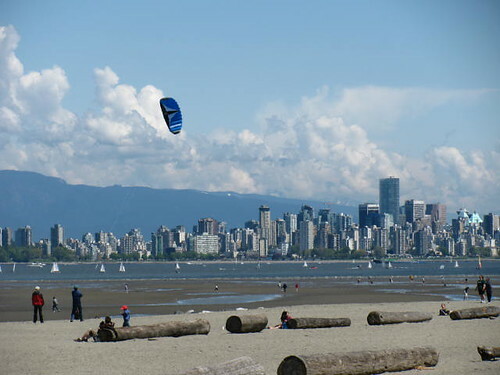 The Metro Vancouver area has a population of 2,116,581. This person complained that mass transit didn't help him when he visited Vancouver, and that there is no freeway. I pointed out that you cannot apply rural values and issues on a large city and expect similar results. Vancouverites fought against a freeway through Chinatown and Strathcona neighborhoods. I told him that ubanist Jane Jacobs moved from the U.S.A. to Toronto because she declared it “more livable,” and today Jacob's son Ned Jacobs lives in Vancouver's Little Mountain neighborhood for it's livability where he leads an annual Jane's Walk. I think the key to Vancouver is its inclusion of diversity. 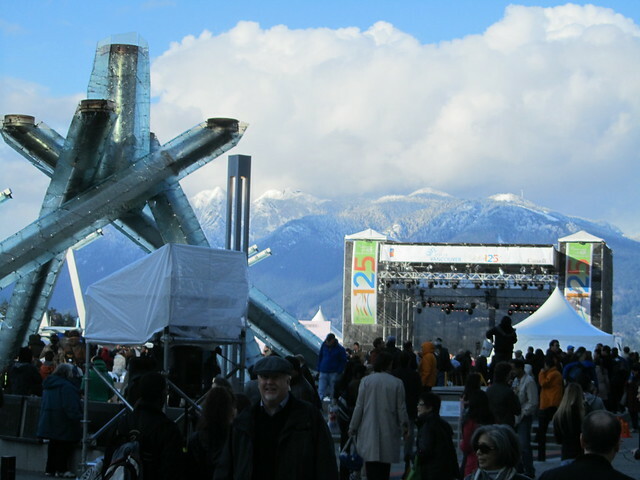 Whether it is the architectural concept of Vancouverism incorporating mixed use development, of community and industrial and business needs, – or the cultural diversity of its population. Vancouver is many things to many people. This is both it's strength and weakness. for the natural environment with high concentrations of residents. engaging – even thrilling place. new era of scarce energy and diminished natural resources. This entry was posted in Commentaries, environments and land conservancy, Main Page, politics and politicians, Vancouver Heritage and History on August 7, 2009 by Todd. Save TLC committee is the best prepared to lead The Land Conservancy of BC for the Aug 8th election of new board. The Land Conservancy of BC (TLC) is holding an Extraordinary General Meeting on August 8th to elect new board members. TLC founder Bill Turner gives a positive “thumbs-up” approval with proposed board members from the Save TLC Committee. They all attended a one day workshop and meeting on July 5th in Saanich with other proposed board members, committee members and community leaders. The Land Conservancy of BC (TLC) is one of the important players in land conservancy in Canada. It is a non-profit organization, based on the The National Trust of England, Ireland and Wales. TLC purchases lands and creates environmental convenants in order to lands, and buildings of environmental, scientific, historical, cultural, scenic and recreational value that would otherwise be loss to destruction, demolition, or development. According to Save TLC website Q's and A's “At the same time, “another Director gained access to TLC's head offic, once the staff had left for the day, disabled TLC's communications network and changed the locks on the doors. When Turner was notified of his firing, a replacement had already been hired – without any public search. Now to be called Chief Operating Officer (COO) this replacement has no experienc managing land trusts or non-profit organizations, and has never even worked in one. On Monday, March 30, the COO also fired TLC's long-time Deputy Executive Director, Ian Fawcett – again, without warning and without any explanation. TLC members were shocked to learn of the events, and of the allegations by the TLC board about the TLC founder Bill Turner. The Save TLC committee was founded to support the return of Bill Turner and senior management staff to TLC. As well, the TLC committee has diligently worked to challenge the TLC board on its allegations, and to inform TLC members about these events. The Save TLC committee has recruited 11 proposed board members that have worked with TLC in many capacities and/or have related experience and background to helping TLC recover from this current situation. I am pleased that Bill Turner asked me, Todd Wong, to be on the Save TLC slate. I have worked with TLC and Bill Turner since December 2005, when TLC became partners with the Save Kogawa House Committee, in an effort to save the childhood home of famous Canadian author Joy Kogawa from demolition. I have always been interested in the history of BC, and especially its pioneers. I have always loved the natural history of BC, and am very aware of the need to protect its environments and eco-systems. I was honoured that David Kogawa nominated me for the BC Community Achievement Award, citing my community work with the Save Kogawa House Committee, as well as my multicultural community events for Gung Haggis Fat Choy Robbie Burns Chinese New Year Dinner. vote through the mail-in ballot which you will be sent. and social stability of the organization. people capable of working even in the most challenging circumstances. That might be what we face August 8th. raise the funds to save special places? This entry was posted in Commentaries, environments and land conservancy, Joy Kogawa & Kogawa House, Main Page, politics and politicians on July 21, 2009 by Todd. Ida Chong, John Yap and Naomi Yamamoto were all appointed to BC Cabinet, creating the largest Asian representation ever, along with Kash Heed who is South Asian. 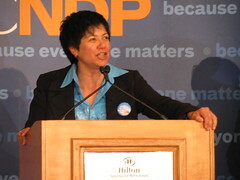 Naomi Yamamoto, the first Japanese-Canadian, is sworn into the new BC Cabinet on June 10th 2009, by Hon. Steven Point, the first Aboriginal BC Lt. Governor. Minister of Healthy Living and Sport. Minister of State for Climate Action. Yap was born in Singapore. He has been active with many community organizations. 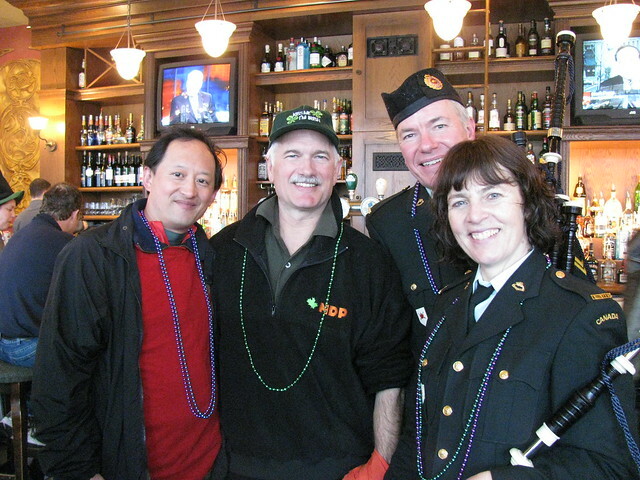 Our paths have crossed with his support of the Chinese Canadian veterans of Pacific Unit 280. Minister of State for Intergovernmental Relations. The first ever Japanese-Canadian MLA in BC. Naomi's parents had been interned during WW2. She beat out Don Bell, the former North Vancouver District Mayor and Member Parliament for the constituency nomination. Active in the North Shore community, she has been president and manager of the North Vancouver Chamber of Commerce for the past 2 years, and has also previously been chair of the BC Chamber of Commerce. While I've never met Naomi, I have known her sister Donna for many years through her theatre work. system, using computer technology to track crime. 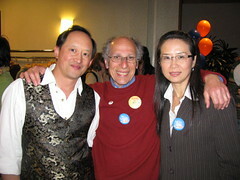 Missing cabinet after winning 3 straight election is Richard T. Lee (Burnaby North). I'll try to identify the Scottish-Canadians appointed to cabinet – but it's a harder task because the while Mac's are usually Scottish and Mc's are usually Irish, they are sometimes interchanged. Many Scottish-Canadians don't necessarily disclose their Scottish ancestry because Scots have long been part of BC's mainstream political culture and history. First BC Governor James Douglas' father was Scottish, even though Douglas himself was born in Guyana to a mother who was a Free Black. 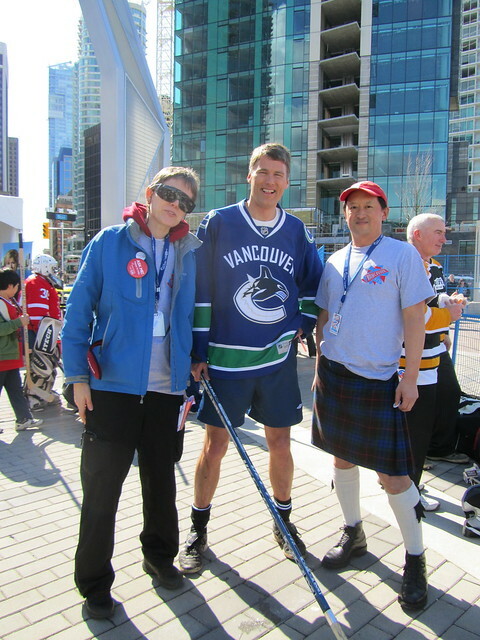 Current BC Premier Gordon Campbell claims Scottish ancestry, though I have yet to find a picture of him wearing a kilt. 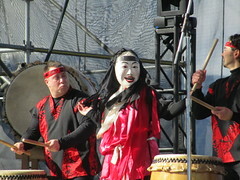 This entry was posted in Asian Canadian Cultural Events, Canadian Identity & Heritage, Chinese Canadian History, Main Page, politics and politicians on June 12, 2009 by Todd. Mabel Elmore and Naomi Yamamoto elected to BC Legislature! Filipinos were the first Asians to come to North America. Japanese Canadians were interned during WW2. Both are now represented in BC Legislature. The election of Mabel Elmore and Naomi Yamamoto will hopefully bring more diversity and inclusion to BC's Legislature, as Filipino and Japanese Canadians citizens have often been at the brunt of some of BC's legislation regarding racism and immigration. Let us hope that the WW2 internment of Canadians of Japanese ancestry, after their valiant fighting for Canada during WW1, will never happen again, nor affect other Canadians of ethnic ancestry. Mabel Elmore is proud to bring Filipino-Canadian representation to Victoria. Elmore won Vancouver Kensington last night. When Mabel gave her short speech, her mother and cousins were standing nearby. They were all very proud and happy that she was elected. Naomi Yamamoto won North Vancouver Lonsdale for the Liberal Party, and will hopefully be in BC Cabinet. Yamamoto has been chair of the North Vancouver Chamber of Commerce. 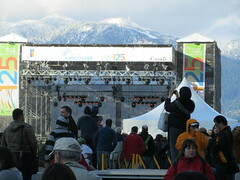 She is also the daughter of Japanese-Canadian internment survivors. Her father Mas Yamamoto celebrated her historic win with her on election night. 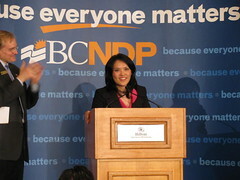 Jenny Kwan, BC's first Chinese-Canadian Cabinet Minister in 1988, was easily re-elected in Vancouver-Mount Pleasant. Sharing a hug with friends Mel Lehan, who ran in Vancouver-Point Grey, and Meena Wong, who worked on Adrian Dix campaign in Vancouver-Kingsway. This entry was posted in Canadian Identity, Main Page, politics and politicians on May 13, 2009 by Todd.